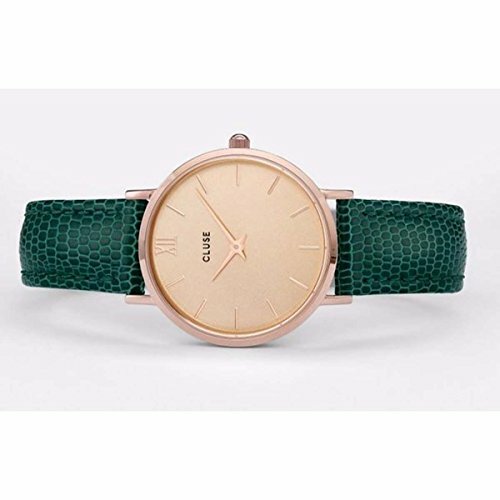 CLUSE Womens Watch CL30052. Wonderfully sumptuous. Wildly desirable. Tantalising pink metallics and teasingly exotic emerald leather. Lush and luxe as paradise at midnightÂ an expression of elegantly edgy delights. Presented in a grey leatherette pouch. As with all Cluse watches in the Minuit collection, you can easily customise this watch with a different leather or mesh strap.